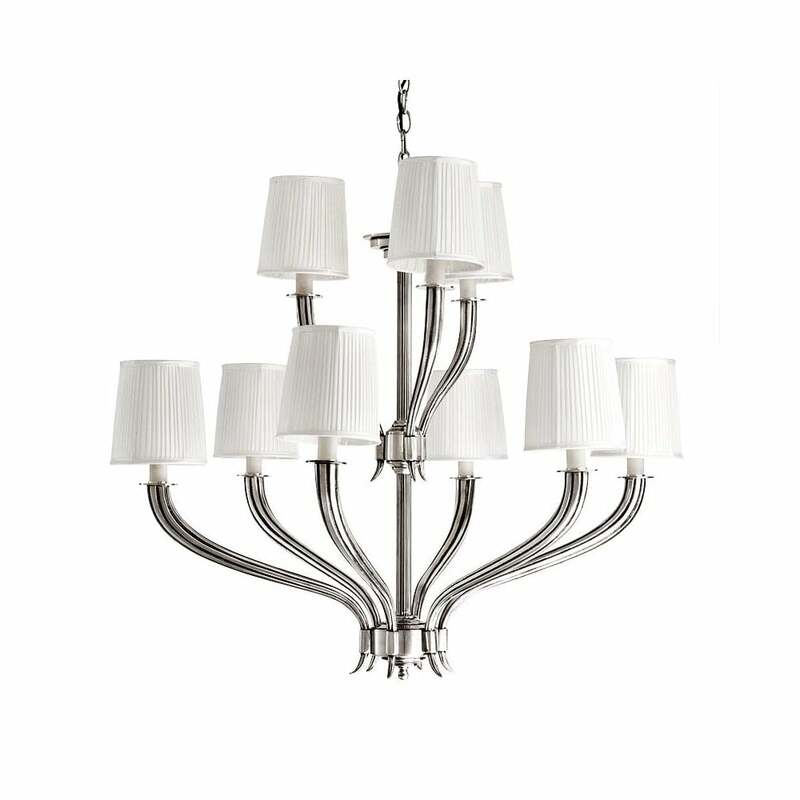 Create a statement with the Mayflower 9 Light Chandelier by Eichholtz. The flowing design forms an open flower effect constructed from two levels of delicately carved arms. Finished in a stunning antique silver, each piece is complemented by a pleated white shade. Hang in a living room or dining room for a sophisticated aesthetic, this chandelier will suit both traditional and contemporary interior schemes. Combine with soft, muted colours such as dove grey, avocado and creamy whites for a classic look. Suspended by a silver chain, the length can be adjusted to suit your requirements. Make an enquiry for more information.